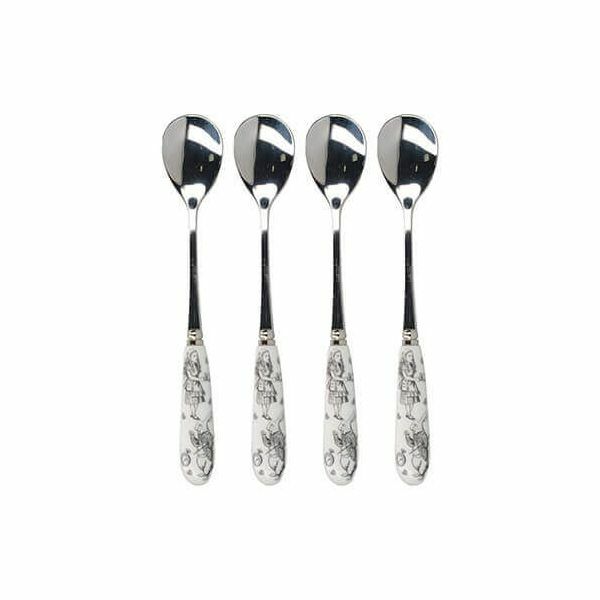 This set of 4 Alice in Wonderland teaspoons are made with high quality stainless steel and porcelain handles. 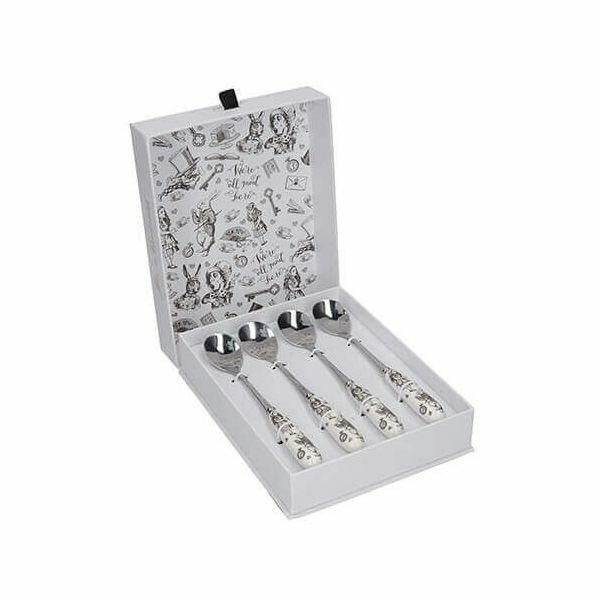 The handles are decorated in beautifully hand drawn illustrations, featuring the Alice and the White Rabbit and features the quote 'Curiouser and curiouser'. 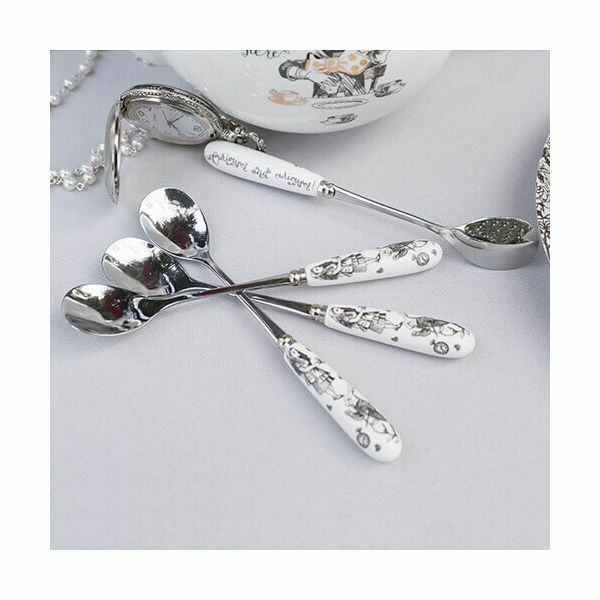 The set of four teaspoons are presented in a luxuriously illustrated matching gift box, with a 'pull me' tab to let the adventure begin. We pride ourselves on our rapid service and aim to have your order picked, packed and delivered within one working day via DPD Courier for orders placed on a weekday before midday, or 3-7 working days via Royal Mail. We will inform you if there may be a delay. Please inform us if this level of service is not upheld. Confirmation of receipt and acknowledgement of your order will be sent to you by email. Please note for orders being delivered to a different delivery address than the card holder’s registered address, there may be a 24 hour delay for further security checks.